Thanksgiving always makes me pause to review the year, where I am in my intentions, what has been experienced and where I want to be. No matter how the twelve months since the previous Thanksgiving have been, I’m invariably left brimming with gratitude. It is my favorite holiday because it is all about appreciating our lives just as they are and for the gifts we’ve been given in the form of family and friends. Cultivating gratitude is the genesis of happiness. This year is particularly poignant. There is currently so much strife, heartache and hate mongering in the world that even the simplest of blessings stands out in stark contrast. While struggling to make sense of the many horrific happenings, I’ve been naturally gravitating to nature. 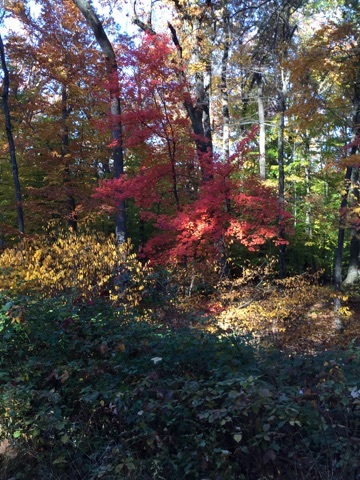 Long walks amongst the fading autumnal vegetation have become mainstays. 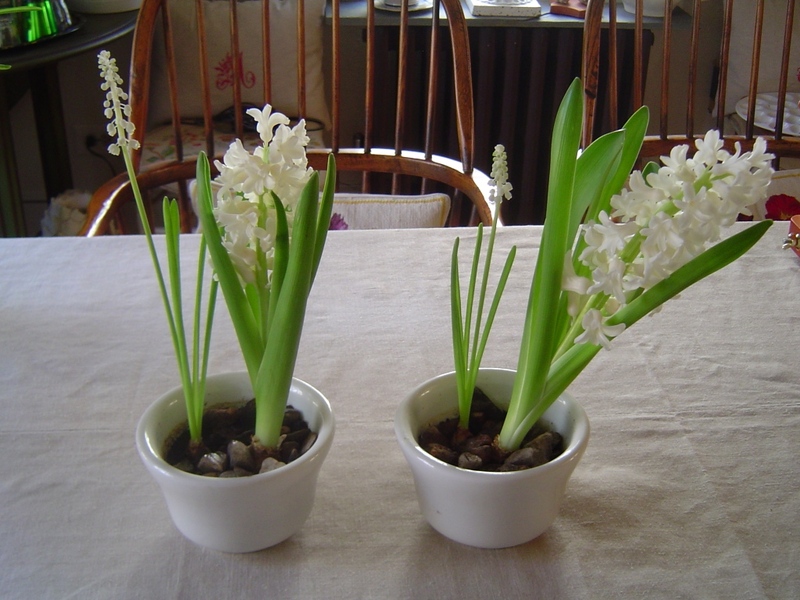 With the seasonal garden tasks all addressed, I’ve moved indoors to get amaryllis and paperwhites started. The Schlumbergera ( Thanksgiving/Christmas cactii) are beginning to bloom and have been placed to advantage. Nothing like a shot of fuchsia to liven up the days of low light. 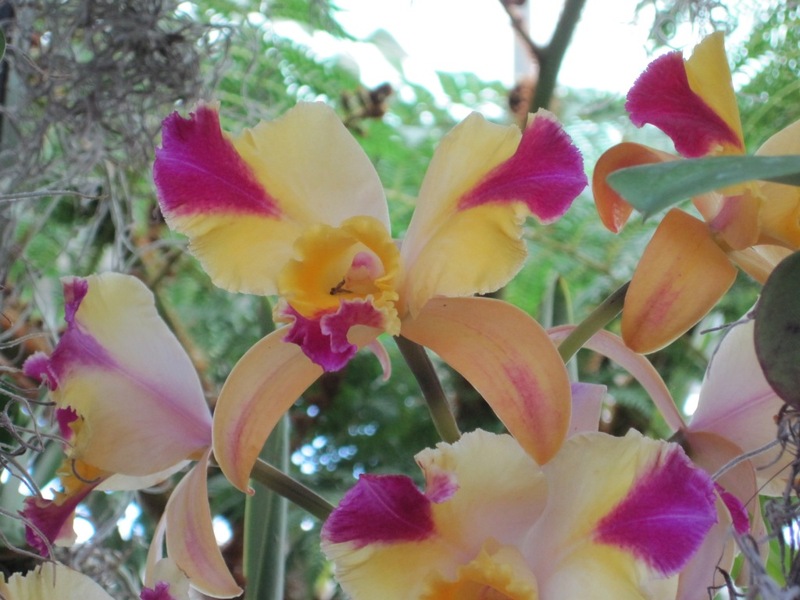 The orchids in bloom uplift my spirit by bringing up memories of joyous days with family in Singapore this past July. Flower power is a very real thing. In the kitchen, meals rich in autumn’s bounty give comfort. Sweet and fragrant roasted root vegetables with thyme, carrot soup made silky with goat cheese, shaved Brussels sprouts with hazelnuts and roast grapes, saffron risotto with wild mushrooms, fresh pasta with garlic sauce, arugula and walnuts. So much delicious choice! All of this points to the obvious. Nature will heal our hearts and soothe our tempers if we will only let it. After all, horticulture therapy has demonstrated its efficacy in helping those battling physical or mental illnesses. Prisoners have been transformed when charged with gardening responsibilities. Adults and children wounded by life experiences have gained confidence and a sense of self from growing a garden. When a person grows the food that feeds him and his family, a profound sense of accomplishment is born. 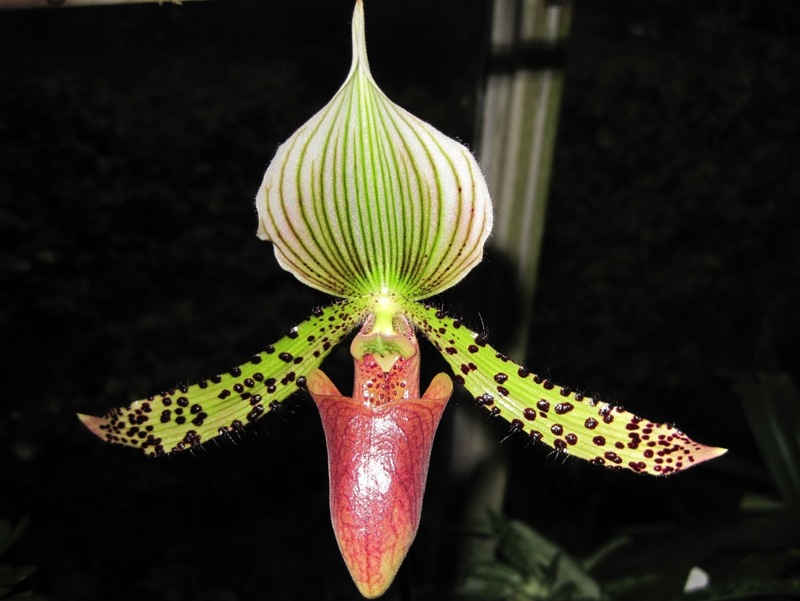 Plants have long been used medicinally and cosmetically. Products that improve our lives gently. Those of us who have are gardeners have always known to escape into the garden to work out problems, get rid of negative emotions, find solace from trying situations, gain inspiration when creatively blocked. I’ve yet to be let down by a timely dose of Nature. And I challenge you to find anybody who regrets having spent time communing with the natural world. The fact is that if you’re busy in a garden, you learn to respect life and understand that we are each but a small part of a glorious whole. One’s own well-being depends on the well-being of all living matter. It is as simple and as complex as that. And so, if you’re busy in a garden, you have no time or energy to think or do anything horrid. On my part, this season, I’m paying forward the joy I receive from plants. I’m forcing bulbs to give friends some holiday cheer, a promise of a young tree to be planted next spring to console a grieving neighbor – each year when it blooms will be cause to celebrate the departed loved one, a native plant seed starter kit for a young adult emerging from the fog of mental illness, batches of vegetable stew well seasoned with garden herbs to stock up the freezer of a dear one recovering from cardiac surgery and now on a salt free diet, divisions of choice plants from my garden for a novice gardener. Nature offers as many gifts as needed. Help yourself. Happy Thanksgiving to you! May it be filled with blessings and plenty of laughter. 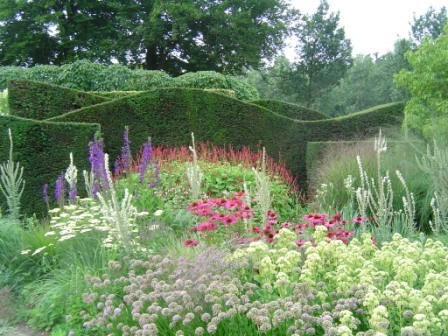 I’m quite taken with this style in garden design. It got the garden world’s attention a little over ten years ago but has become a ‘here to stay’ type of style in the US more recently. 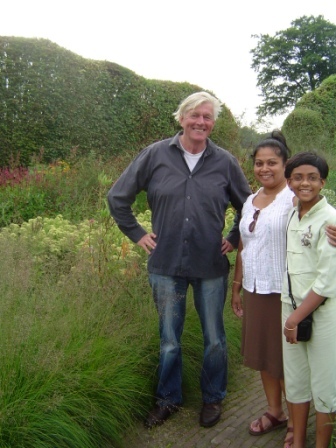 Having been a long time fan of the Dutch nurseryman and designer Piet Oudolf, I’ve followed the emergence of his concept very keenly. 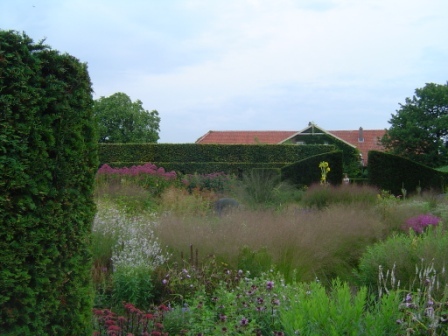 Piet is best known for using bold drifts of grasses and herbaceous perennials that are selected for both color and structure. 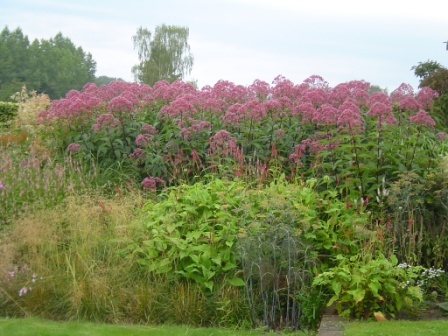 Indeed, his hallmark has often been referred to as the New Dutch Perennial Movement. The overall effect is one that looks and feels very natural. 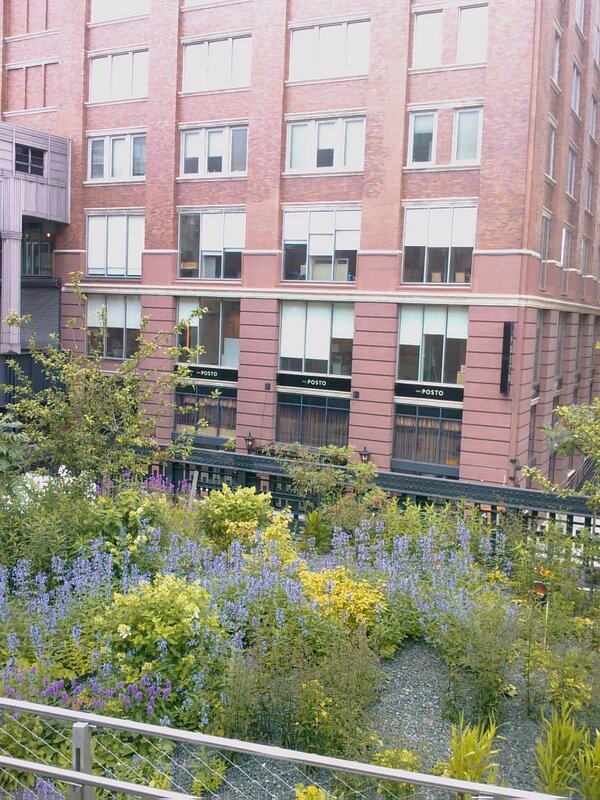 There is an easy-going, informal ambiance in these gardens. And while Piet is widely acknowledged as the father of this new movement, if one digs deeper, one finds that the ideas are really not so new but Piet perfected it, Between the North American Prairies and the German plantsman Karl Foerster style in the very early 1900’s, one can clearly see the principal influences of the current movement. 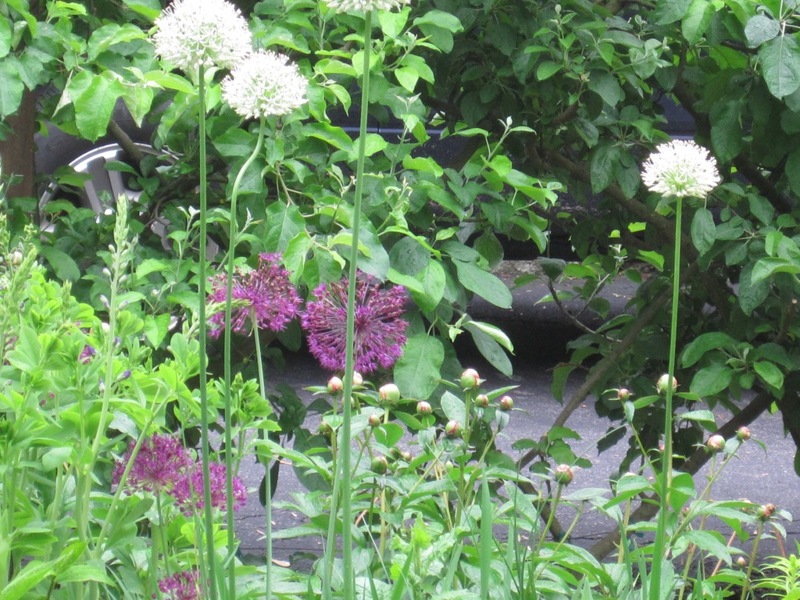 It is plainly all about using rugged, hardworking perennials and grasses to create a modern, fresh look. 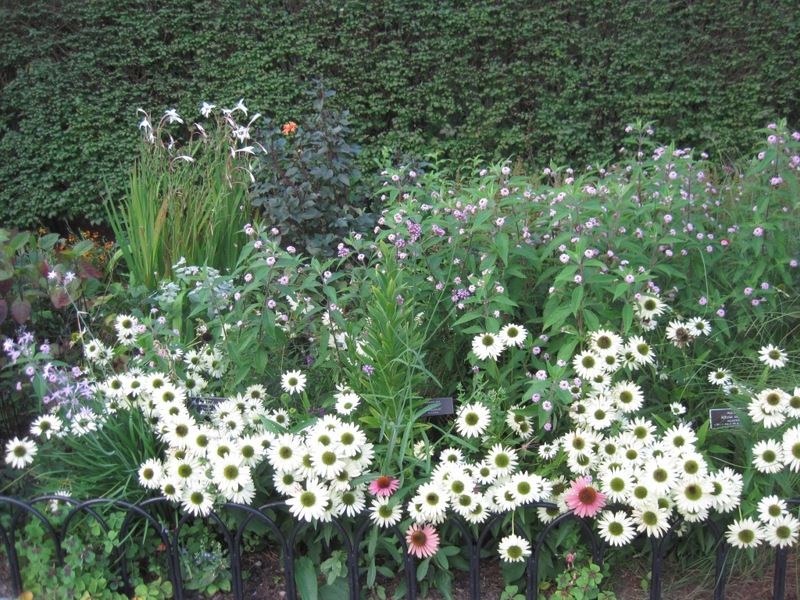 What I particularly like about this style is that not only does it look quite stunning and au courant, it utilizes common and largely native American perennials. The effect is harmonious and natural – which is in keeping with the move towards living more simply, organically and authentically. It is not fussy or overly structured. It feels right. 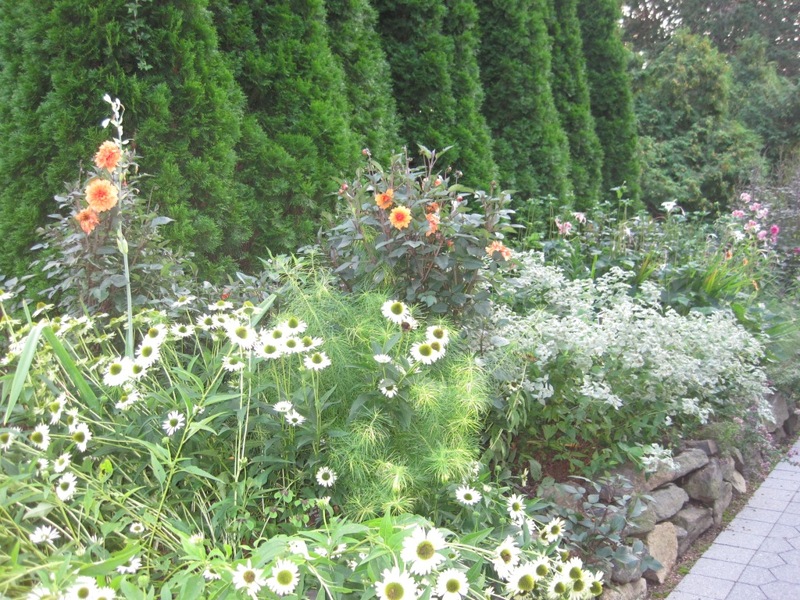 Everyday plants such as Rudbeckias, Solidago, Verbena, Echinacea, Achillea, Eupotorium abound. 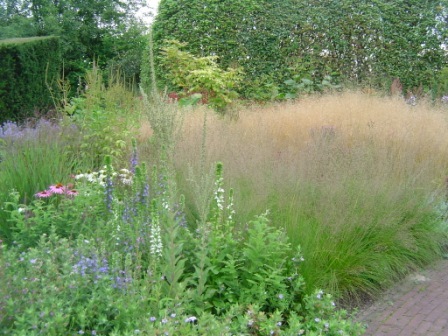 The grasses being such a vast and diverse family, can be selected to suit taste and climate. 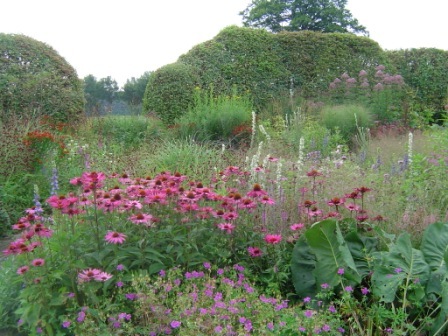 Hence, to make such a garden is not only a matter of easily obtaining the plants but the cost can also be easy on the wallet. 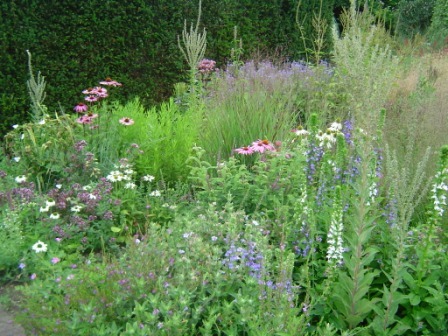 The challenge lies in coming up with a planting scheme that appears to flow well and yet, bears some semblance of order. It is easy to go wrong and make it disheveled in appearance. My advice is to start simple and small. Work out the kinks and then expand the scheme. 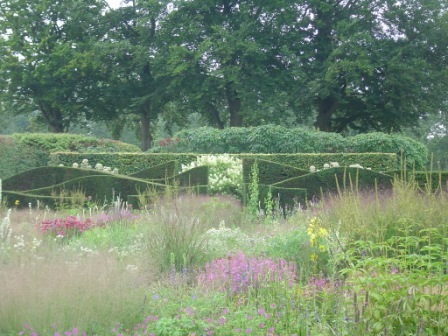 In Piet’s own garden, he brilliantly contrasts the deliberate and thoughtfully created informality with the very orderly and well trimmed green hedges that enclose the garden. I’m moving slowly towards this style. Sort of dipping my toes in this tide. I’m beginning to feel that I’ll have to take the plunge soon. 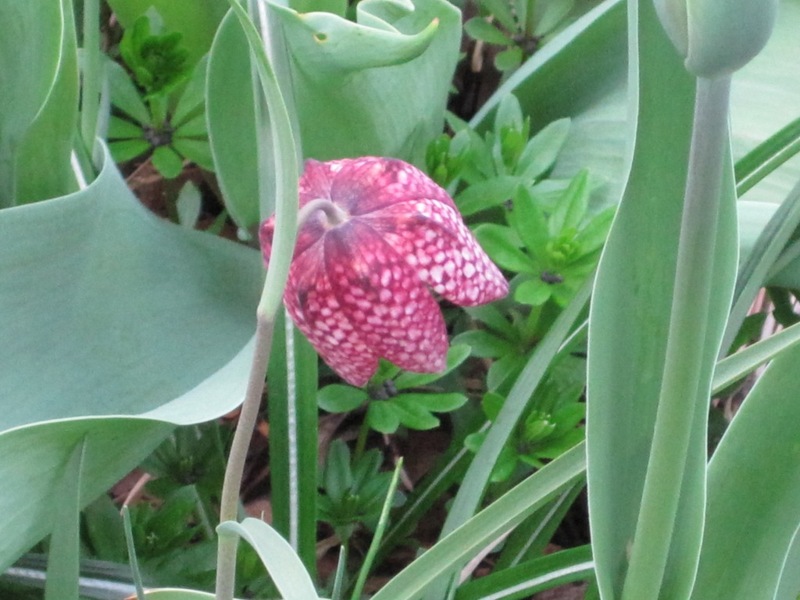 Over the years, I’ve been adding those aforementioned hardy natives. 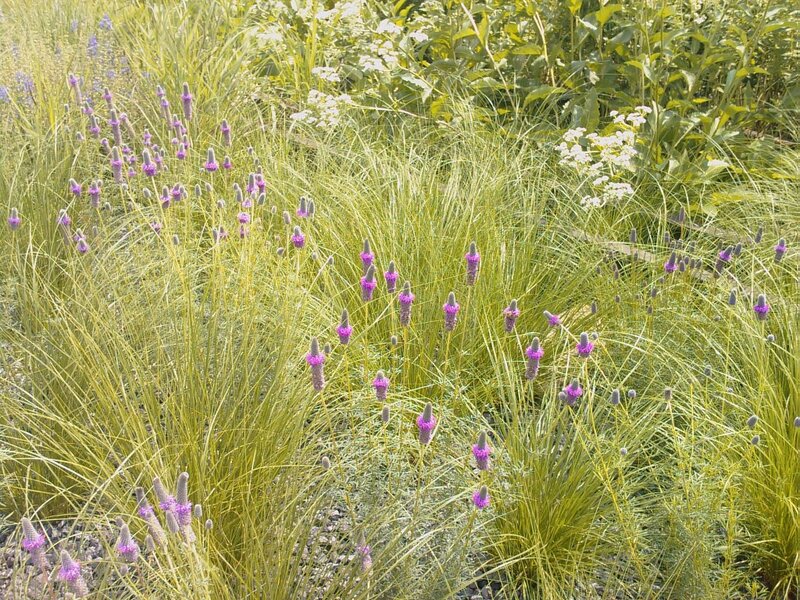 More grasses are needed – my hesitation is mostly because I’m not sure what will work for my garden and my preferences. I plan to do some major research in that area over the winter. The cool, ecologically sound factor of this type of garden beckons. 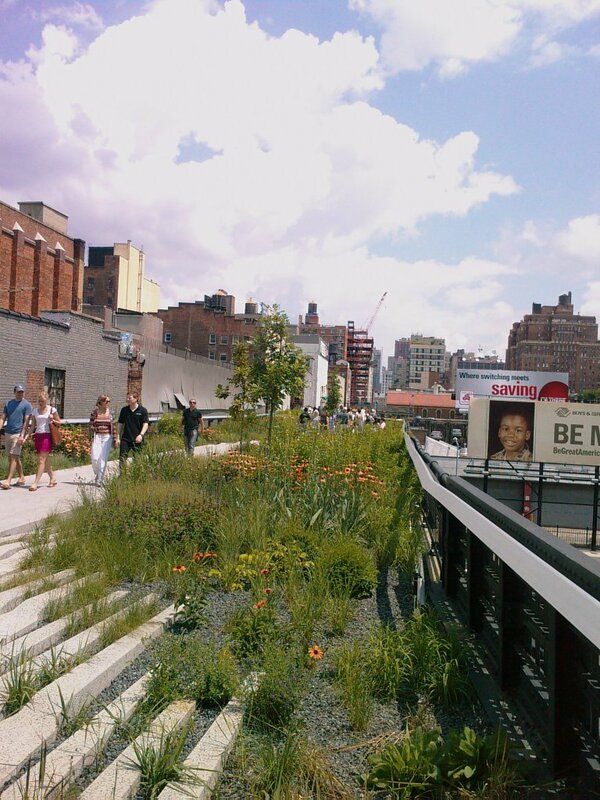 Check out Piet’s work at the NYBG and the High-Line in NYC. This past week, I made a personal breakthrough. I got major help with the bulb planting. This might sound irrelevant or inconsequential to most but to me, this is huge. 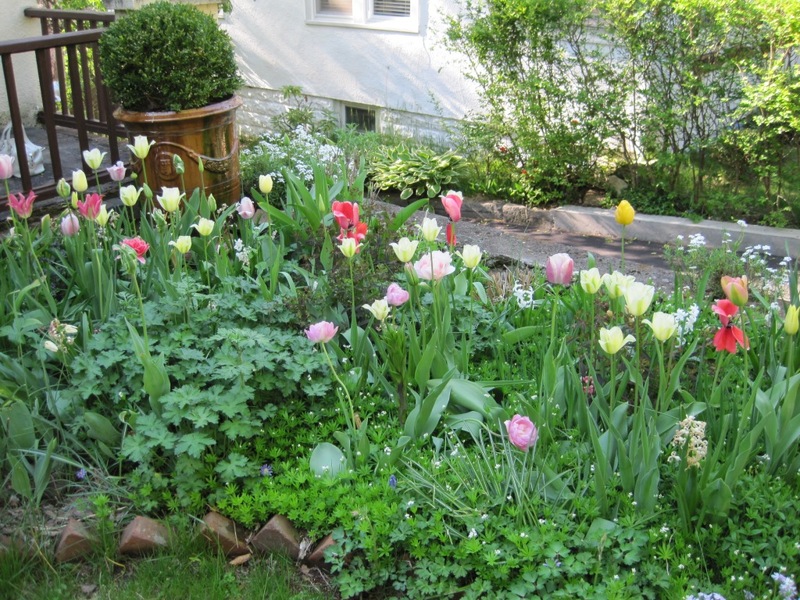 All of the years I’ve gardened, I have operated on my self-imposed credo – My garden, my work. This, in my mind meant that I ( and family) must do all the “real” garden work myself. I cannot recall ever reading or being told such a rule but somehow, it was branded in my head. And for the most part, it has been more than fine. The early years were fraught with big projects. Making a garden from scratch required a great deal of time and energy. I went about it quite happily and it never occurred to me to do otherwise. Then, motherhood happened. That, naturally made me adjust to the new lifestyle but fitting my responsibilities into it was not really difficult. I weeded during nap time, occupied my child with play in the garden while I took care of daily chores and generally balanced it all reasonably well. The bonus was that I got to share my love of all things outdoors with my daughter. She observed and learned as children are wont to do. And then I got to give ( she’ll say forced) her some responsibilities in the ‘family’ garden. Ha! However, in the course of those same years, my other interests and projects took off as well. Time was at a premium. Not willing to let any aspect of the garden give, I judiciously stayed super-organized and zealously stayed on top of all the chores. Actually, I did that with everything I had going on. I drove my family crazy on many occasions. However tired and over-committed I was, I pushed myself hard. I simply had to fulfill my own mandated list of ideas and jobs in the garden. While I was forging ahead and succeeding in other endeavors, it was not only lack of time that lessened my gardening hours. The ugly head of Middle-Age reared. Aaaargh! Please tell me that you know what I’m talking about! The stiffness of the body on awaking each morning. The achy joints and muscles taking more time to heal. My knees and back are not what they used to be. Every task takes longer and some are downright painful. Yet, till this summer/fall, I persisted. Finally, the wisdom that comes with age (still middle-aged!) dawned. I needed help with the tasks. But now these days are gone…. ? Boy! Now I can truly relate! I cannot imagine why I resisted so long. I think it felt that in getting someone else to do some chores in the garden, I was giving up autonomy or even saying I was not so capable. Yes, I realize now that it was all in my head and my thoughts were pure hogwash. And thus, I got some good help with certain chores and got my 750 bulbs planted. I could not have got ready for 2 art shows and met some deadlines without that. There is no question that I’ll continue to work hard in the garden. It is after all my passion. But it is such a relief to share the work so I can focus on the other equally important areas of my life. Feels good to have finally wised up. Don’t forget! 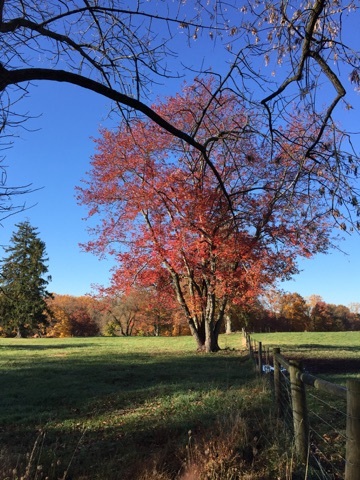 The art exhibit at the Chappaqua Library is on till Jan 8. Do visit. A big thank you to those who came to the reception – I loved seeing you. 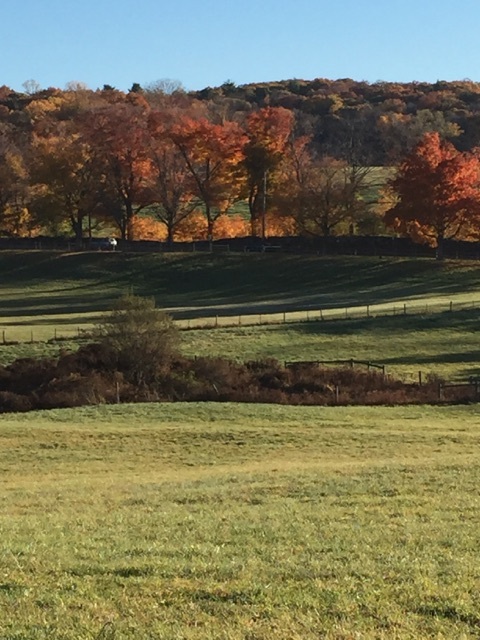 After that sudden freeze we had a couple of weeks ago, we are currently experiencing September-like temperatures. Methinks Mother Nature is teasing. Or maybe she is testing us? 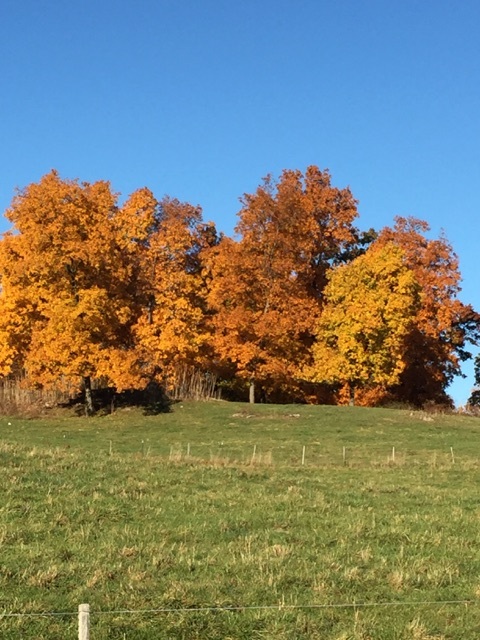 It is hard to be enthusiastic about chores in autumn. There is much to do and after all that work, we are faced with short, cold days and long, even colder nights. So while the weather is still balmy, it feels only right to soak in the warmth and revel in the beauty of the season. The way the colors glow without ever seeming gaudy inspires and confounds the artist in me. I am eternally humbled by Nature’s mastery. Despite wanting to just sit outside, there really has been much activity in the garden. A great deal to tidy up, cut back, clean, prune and put away. The raking of leaves alone is a big task. 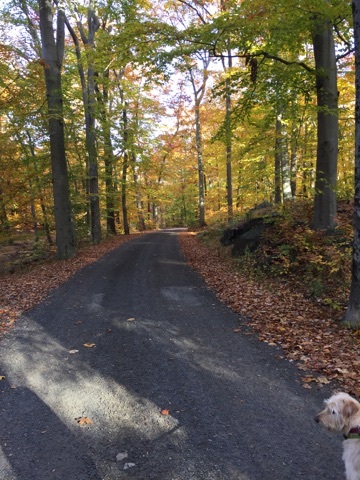 It goes even slower when distracted by the richness of hues in the fallen leaves. The pots need to be emptied and cleaned; they get put away only when they’re truly dry lest some mold or bacterium settles in to taint next spring’s plantings. The very large pots, once cleaned, will be wrapped in plastic and then burlap so they can stay on site. Wisteria and fruit trees are pruned to a state of tidiness. Fall window boxes installed. The greenhouse is already harboring the tender plants – refilling the propane tanks used to keep the greenhouses heated becomes a weekly job from now till the spring thaw. 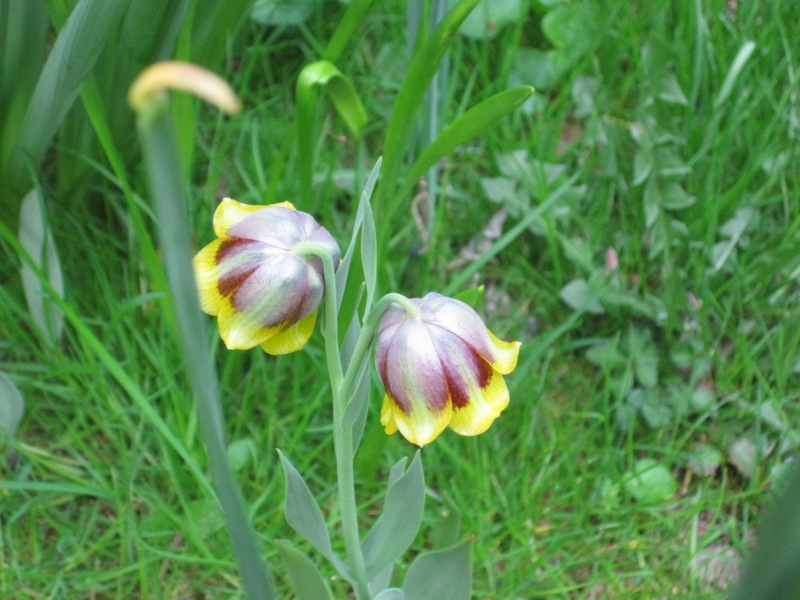 I have about 750 bulbs to plant and normally, I’d have got them into the ground by now. But with the soil still being so warm, I’ve postponed it till next week. Yes, there is plenty happening in the garden. Putting it to bed is much more challenging than getting a 3-year old to sleep. More exhausting too. The only way to keep doing the hard work is to remind oneself of why we garden and what makes one a gardener. Here is how I see it. To be given the chance to create a garden is a divine endowment. A calling even. It happens from within. Simply owning a piece of property does not a garden make. 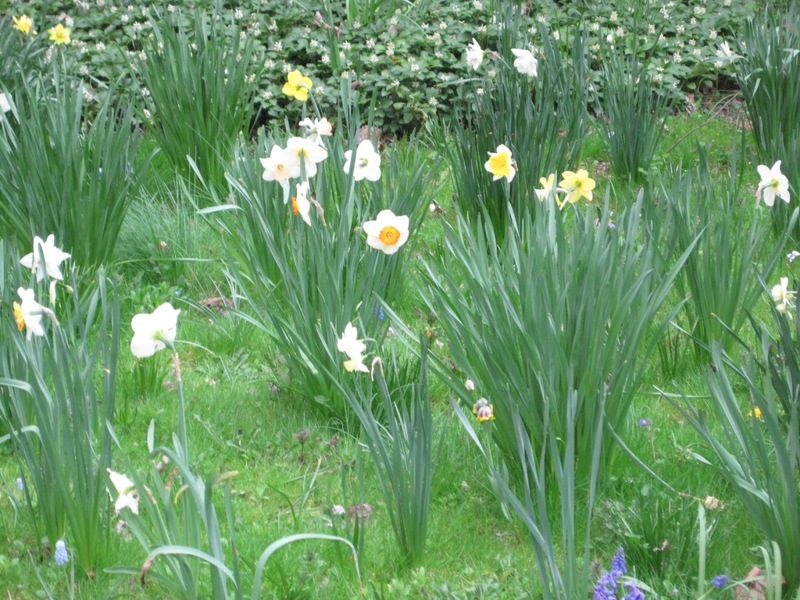 Look around – not every house has a true garden. Having the inner fire to make something of it is the first sign. And then, one surrenders to Nature. We make mistakes, fail repeatedly and still keep at it. We cannot distance ourselves from gardening. We are connected deeply. What a gardener gives, he gets in return. It is a beautiful, complex relationship – where each lets the other shine and thrive. It is built on forgiveness, constant nurturing, trust and love. Most importantly, there is room to grow individually. If you stop to think about this, you’ll see what I mean. 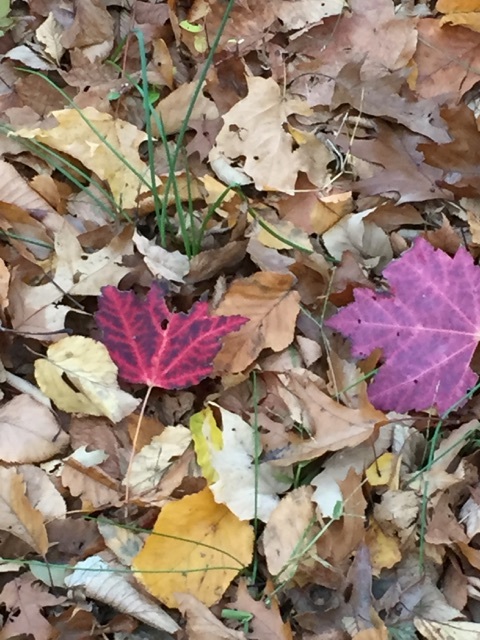 Now in the autumn, while the gardener is clearing and cleaning up so the garden can rest, the garden in turn, is instructing on accepting change, preparing for the future with grace and bringing a self-awareness so we can become more of who we want to be. 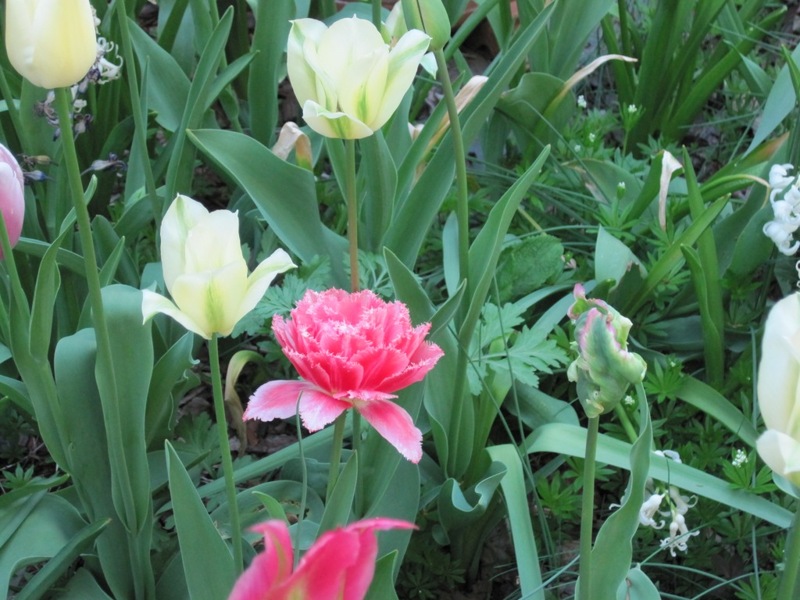 As I get rid of the detritus and debris from the garden, I consciously go inside of myself. To peel back layers that I thought I needed and instead begin to feel comfortable with my exposed flaws and vulnerabilities. To accept who I really am and take joy in that. The bones of the garden are now more visible. 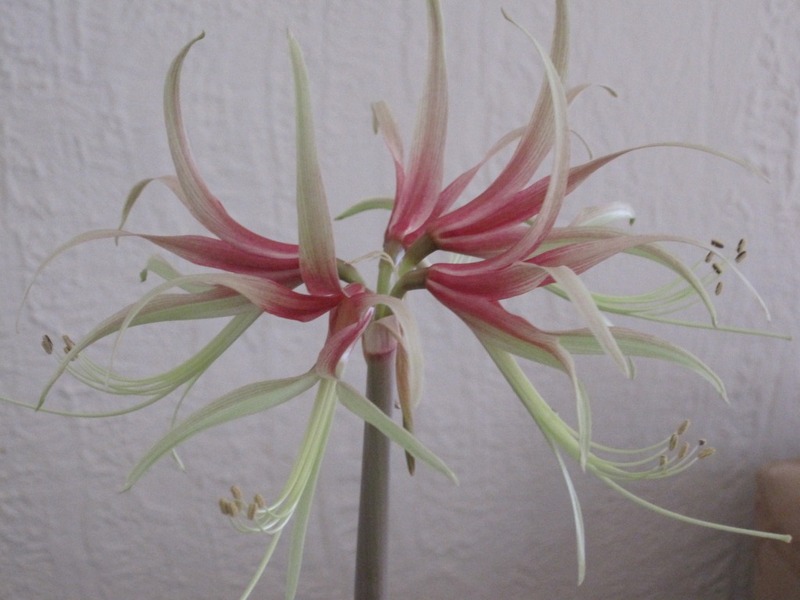 Without adornment of flower or foliage, it lies naked in repose. All is as it should be. I too welcome the winter to spend in introspection and gratitude. Together we will emerge next spring – renewed and ready. Pssst! 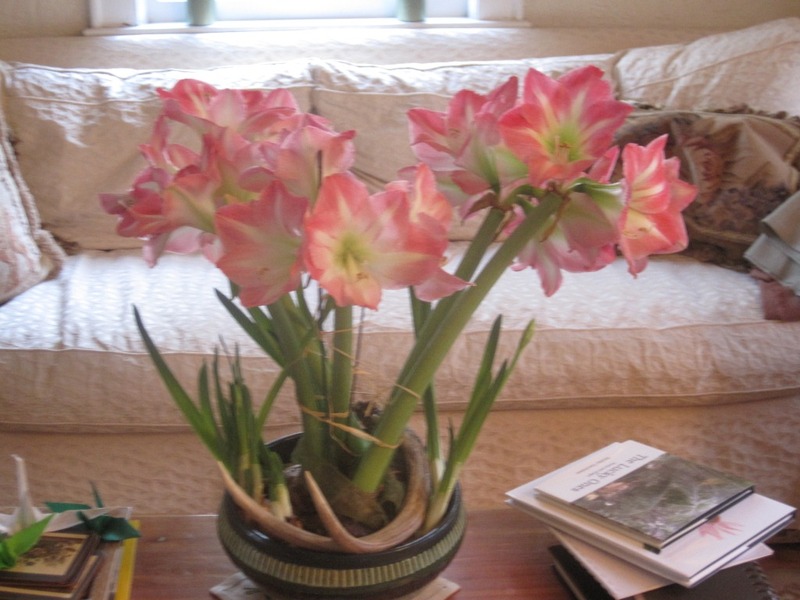 I’m starting some amaryllis today to cheer me on. Note: If you live in my neck of the woods, please be sure to see the Northern Westchester Artists Guild exhibit at the Chappaqua Library. Nov 8 – Jan 4. I have two paintings in this show and would love to see you at the reception on Nov 8, 3:00 – 6:00 pm. Chappaqua Library,185, South Greeley Ave, Chappaqua, NY 10514.